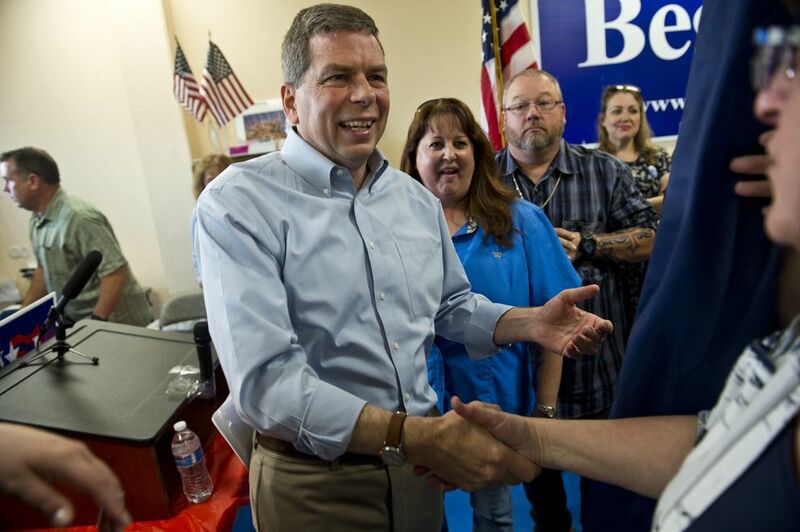 For months, Mark Begich faced pressure from fellow Democrats to drop out of the Alaska governor's race. Now he's their best shot at winning the seat. The race was upended last week when independent Gov. Bill Walker dropped his re-election bid. He said he concluded that he had no chance of winning against Begich and Republican Mike Dunleavy and thought Begich would be better for Alaska than Dunleavy. Walker's announcement came days after his lieutenant governor, Democrat Byron Mallott, resigned over what Walked described as an inappropriate overture to a woman. Walker, a former Republican who was elected with Democratic support in 2014, said he and Begich don't agree on a lot of things. But Walker said he fears Dunleavy will unravel some of his major policies and "hurt" Alaska. Dunleavy's campaign manager criticized Walker for a "bitter, partisan" attack on Dunleavy. Begich said his campaign was "inundated" with calls after Walker's announcement Friday, "a sign that people have been waiting for the governor's race to firm up in one way or another, and now they see it." He called Walker's action courageous. "I think this is the moment," he said, adding: "I believe we can move the dial and win this election." State Rep. David Guttenberg was among the Democrats who backed Walker and wanted Begich to quit. Now, he said, "you just take one pin off and put on the other." "I would have hoped that it would have reconciled itself earlier," he said of race dynamics. "But it is what it is." Then, speaking to a women's group in Anchorage, his voice hoarse from laryngitis, he embraced his Democratic roots. He talked about wage inequality, fighting for working families who struggle with costs like day care and the need to speak out when President Donald Trump, who easily won the state in 2016, is wrong. "You cannot be silent," he told them. "You cannot sit there and hope it's all going to work out." The women applauded. But he said the positive response after video of the speech was posted online, from people previously on the fence, was like "the Big Bang." "It crystallized in my mind … all these people I've talked to on the campaign trail, 'This is why I'm in.' I don't need the office," he said, adding: "But I do believe there's a lot of people who have been just excluded from the process." Wife Deborah Bonito said Begich prefers working to recreating but might allow himself an hour of Netflix with her or playing cards with their son, Jacob, after dinner. Begich, who plays poker, said that game and other experiences he's had — as a bartender, in business — taught him useful skills for being in office: patience, listening to people, taking calculated risks. Growing up, public service was instilled in the Begich kids. That pull that Begich feels isn't about ego — it's engrained, said state Sen. Tom Begich, one of Begich's brothers. "Maybe that's a consequence of a parent dying young who's been involved in public service and has only been involved in it in a way that's pretty idealistic. You end up feeling it's an unfinished thing that needs to be finished, and so you're driven by that for the rest of your life," Tom Begich said. "You're always engaging, you're always involved, you're always reaching out." Begich told supporters he came to understand his father's commitment. "He understood that you can't wait for someone else to speak up or speak out or do the right thing," Begich said. "If there is work to be done, you must get in there and do it." Tom Begich said some told his brother that if he waited four years he could "walk" into the governor's office. "If that's what it's about, if it's about waiting for your time, then what's the point of public service anyway? And he's said those very words to me before," Tom Begich said of his brother. 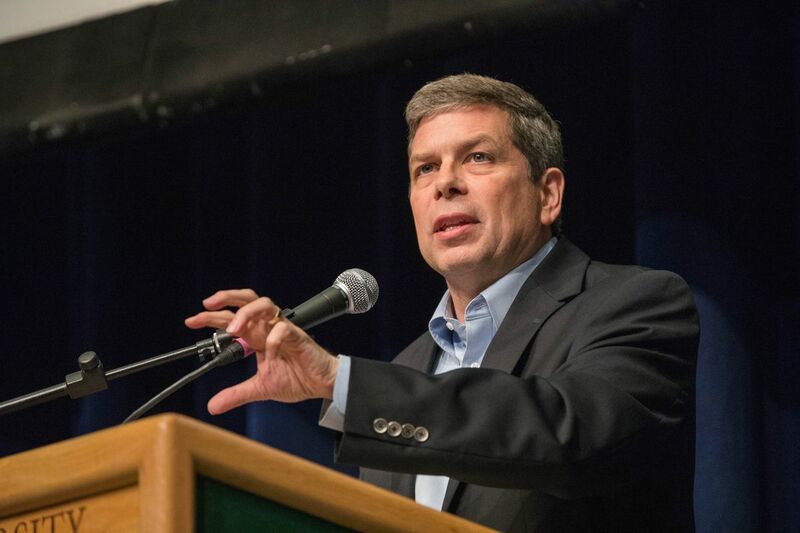 Mark Begich has emphasized his support of abortion rights. He has proposed constitutionally protecting the annual check Alaskans receive from the state's oil-wealth fund and suggested Alaska's Medicaid rolls are so high in part because some big companies aren't paying their workers a livable wage. His running mate is Debra Call. Dunleavy's campaign has sought to portray Begich as a career politician who wants to grow the size of government. Begich has said he wants to stabilize the budget and is open to new revenues. "That's kind of what he brings to the table, like, there's setbacks but there's also, 'Hey, folks, here's how we're going to move forward,'" she said. "… There's no moping." Former U.S. Sen. Mark Pryor, an Arkansas Democrat who worked with Begich, called Begich independent minded and "relentlessly bipartisan." "He is what is right about politics," Pryor said.